Download Updated Waze App for iPhone & Android!!! In this traffic age there is too much crowd every where. To get the wisdom of crowds & save your time Apple has provided real time navigation service that searches gas stations on vicinity of your path. 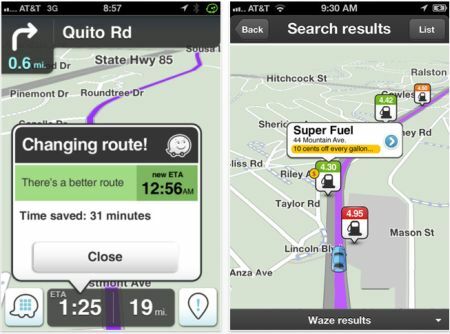 Waze is a live traffic app that helps you to search for cheapest fuel around. Some times it feels annoying for you to go for the crowded path for your fuel. This 3.2 version helps you to search near by fuel location that is in your path. You can also update gas prices if you find the difference in price. 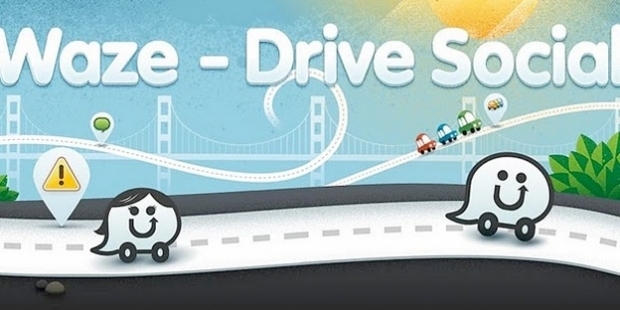 Not only your gas price & petrol money you save, Waze users will get various discounts. 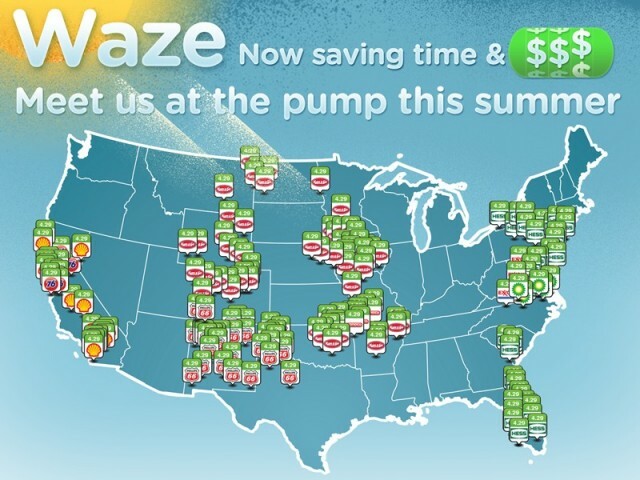 Waze has partnered with various gas stations like Kum, Go, BP, Exxon & Sheel to provide various discount coupons for 5 to 10 cent off for each gallon of gas on selected stations. “We wanted to figure out a way to save you both time and money” Eisnor said. With category search option you can list bank, parking, stores & various other places. A new feature “Way points” allow you to insert stop on your path so that you can find time for your travel. There is also voice control feature option to report you about various traffic incidents on your path. There is also an option that is updated i.e. “Destination Search” option that help you search for your destination. You can also share your destination with friends so that they can meet you on the path. There is also other app for ios that is available in app store that search fuel price “Gas Buddy” but its scope is only inU.S.This is also for US but its hoped that this will be declared internationally. This is for free so there is no risk of trying this app. Click here for download!! !